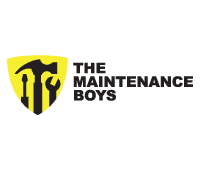 The Maintenance Boys is a young company looking to expand with the long term objective of becoming a nationally sought after brand. They recently added two new members to the team and moved to larger premises. The outcome set for the Talent Dynamics profiling and workshops was to better understand each team members’ areas of expertise and reallocate responsibilities to leverage the existing human resources and create more flow in the enterprise to improve productivity and work satisfaction. Helene Kempe (the performance consultant) worked with the CEO to develop a plan of action to best utilize the Talent Dynamics Pathway to achieve the desired outcomes. The program was designed for the management and administration team. The first step implemented was to profile the members of the Management and Administrative Team. This group then attended a Taster Session. This allowed team members to better understand the different profiles and the value they bring to the enterprise as individuals. We then analysed the various business requirements and what the key challenges were at that time. The team then participated in a second workshop 9 months later where they took their understanding to a deeper level and also had the opportunity to integrate new staff into the business development model. A third workshop has also been scheduled to progress to the next stage of business development. The team members are doing more of what they love and are now have a clear understanding of the different profile each team member has. They now profile all new staff before they commence to ensure they are the right people to play in the required position. The Maintenance Boys team set a financial target that was to more than double their income in the following 12 months, they achieved it in the 3rd quarter and actually tripled their previous year’s income. They have also built up a team to sustain their results going forward. After the first workshop we set a big hairy audacious goal to more than double our income that year. We achieved that in 9 months and actually tripled our income that year. We also built up a team to sustain the results going forward.